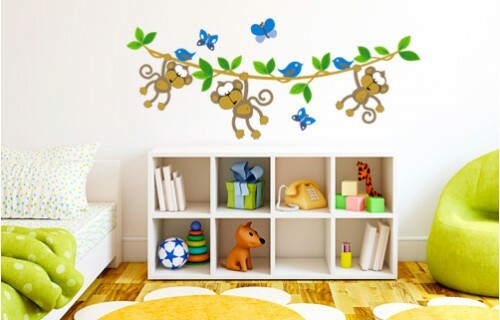 Let the jungle swing itself into your kid’s bedroom and watch the naughty Monkeys on a vine play on your wall. 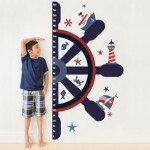 All these vinyl wall stickers come separately, so you can position them around your furniture and wall to suit your kid’s bedroom. Available colours: Vine is light brown. Monkeys, birds and leaves are full colour. 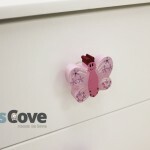 Choose colour of butterflies. Each Pack Contains: 1 Vine, 3 Monkeys, 3 birds, 19 leaves, 3 butterflies.